How do I buy an item from Bass Clef Shed? When you see an item please email us for our special pricing; we realize this is a bit unconventional but also unique. We will send you a customized price and if you agree to pricing for that item you can pay via Pay Pal. Once your order ships we will then charge your card and only then. It is our experience that this process allows us to be more generous on our pricing and you will have an instrument directly shipped to you. 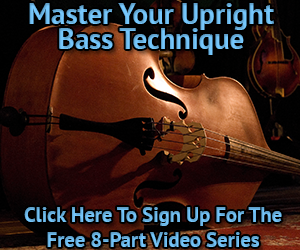 Should you prefer Bass Clef Shed to do the set up there are additional charges depending. If you do not see an item in our store, please feel free to ask us to “special order” it for you. With some of the smaller accessories we find we simply may not be able to compete with the higher volume stores in the market. The pricing and availability of the items seen on BassClefShed.com often fluctuate, so we rarely post our prices on the website. Please call (804) 677-0310 for the most current pricing on any item that interests you. We work directly with the dealers represented on this site in order to bring our customers the best possible pricing and product expertise. We accept all major credit cards and can make arrangements for payment by check if preferred. Instruments and/or amps have a two-day approval period. If the instrument/amp is to be returned, customer must call Bass Clef Shed within 48 hours of receiving it, and item(s) must be shipped back to Bass Clef Shed by the third business day. The customer must call first for an RMA number, then is required to ship UPS or Fed Ex prepaid, using the same service as when received, (example: overnight, 2 day, 3 day or ground) . Pack carefully! Any instrument/amp shipped on approval, and its carrying case, must remain in factory original condition when returned, including all instructions, warranties and tags. If used, item must be in same condition as when shipped. After Bass Clef Shed receives the returned item, we will refund the purchase price, excluding outbound shipping. There is a 20% restocking/processing fee if the item is returned. The instruments and amplifiers undergo a complete inspection prior to shipping. In the rare event that the bass or amplifier arrives damaged, please call our office immediately at so we can arrange a replacement. Furthermore Bass Clef Shed reserves the right to determine whether or not we will issue the RMA for the return. $150 shipping to Qualified Commercial addresses not more than 600 miles or so from our shop in Richmond, VA.
$150 Shipping to “Qualified* Commercial Address” requires the address to be located within 30 minutes, or so, of a major city, on major U.S. shipping arteries and not more than 600 miles or so from our shop in Richmond, VA. Shipping rates can vary greatly depending on where you live; for example, additional shipping charges usually running between $35 and $85, but in the most crowded or remote areas can add on up to $140. These types of shipping destinations are more expensive to ship to from us here in Virginia. The customer will need to make up the difference between the initial $150 shipping and the actual shipping costs. In any case, Bass Clef Shed will contact you if there is additional shipping due. For exact shipping quotes inside or outside the continental United State, describe the instrument as below, tell us where you are and we’ll e-mail a shipping quote back to you. BassClefShed is not responsible for damage in shipping. It is the buyer’s responsibility to examine the shipment in a timely manor and, if damage has occurred, to file all necessary claims with the Carrier at the time of delivery. If there is damage to the carton do not sign the receipt; inspect the package and contents. Show damage to driver and have him call his supervisor to report damage; get name of driver and supervisor for your records. This will establish the time of delivery and references. It is the buyer’s responsibility to check the exterior of the shipping container at the time of delivery. Should damage to the container be found, it is the buyer’s responsibility to open the container and inspect the contents for damage, so the proper notations can be noted on the delivery receipt. Noted loss or damage should be recorded in detail on the delivery receipt. Provide as much detail as possible and avoid generic terms such as “torn” or “box damaged”. This type of notation does not provide adequate support for your claim. If the shipment is damaged internally and not visible from the outside, contact BassClefShed immediately to report your findings. Please take photos of the instrument and shipping carton. In all instances please contact us immediately, because not reporting the damage upon delivery will diminish your claim. We will do everything we can to assist you with your issue.